PRODUCT | OTHER TESTERS | CATS Inc. Guarantees with measurement value included super junction and jig. SCT1010ZZ has been designed to test energy tolerance of IGBT device at short circuit. Energy amount is calculated by digital oscilloscope waveform which is corresponded with software. Also, it has preventive function not to break D.U.T for safety. SCT620ZZ-7SC is short circuit tester which can measure 7 device of IGBT module at maximum . This tester is unified with measurement jig for useful operations. QGI600B has designed to measure gate capacitance of MOS-FET and IGBT. It can set gate limit voltage to each plus and minus to correspond to depletion type. 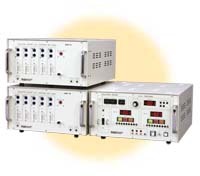 CPS900 has been designed to measure capacitance of MOS-FETs and IGBT. Capacitance meter is not our product, however, it is controlled as one of the measurement system with tester by software. 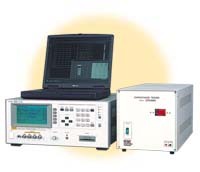 By applying high voltage to the semiconductor packages, this tester guarantees the isolation voltage. TARY4000 is the corresponded model to multi-device of TAC series. It can measure 10 devices simultaneously to improve productivity. 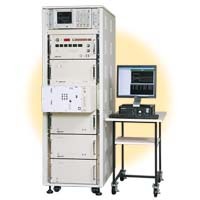 TACD5000IG is tester for measure voltage tolerance of semiconductor package with both measurement method of AC and DC. Either measurement mode of the detection of the voltage peak or the detection with VRMS (actual effect value) can be chosen in the AC test. AB1520 is an accuracy check unit for DC tester which can check each bias accuracy with exclusive programs easily. It is useful for daily function check and condition check at troubles. Also, there is a model of AB3020Z for the tester ranged more than 2kV-50A. AB3020Z is an accuracy check unit for DC tester ranged more than 2kV-50A which can check each bias accuracy with exclusive programs easily. It is useful for daily function check and condition check at troubles. There are two kinds of test socket that for TO-220/TO-3P and for diode 2 terminal. Heat resistance is 220℃ and 300℃. HU-350 can heat a device TO-220 or TO-3P to 350℃. Surface to contact with device heat radiation is covered with ceramic for keeping isolation. Heater exclusively for TO-220 and TO-3P, capable of heating to 150℃. Suitable for device analysis under high temperature conditions. Better still, it is compactly hand-held. To view and print the PDF files you need Adobe Acrobat Reader.You can download it free from Adobe site. Copyright © 2018 CATS Inc. All Rights Reserved.